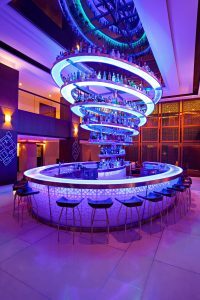 At Dbar, explore Patong’s reputation as the most entertaining destination on Phuket. 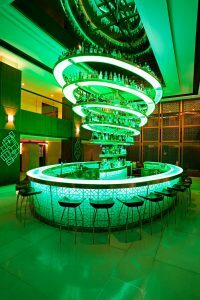 A spiral-shaped LED liquor stand cascades from the ceiling, showcasing our impressive selection of top-shelf spirits. The bar’s sophisticated contemporary decor perfectly matches its chic, lounge-style vibe. A place to rub shoulders with Patong’s cool crowd, Dbar is known for its expert mixologists. Do you prefer your cocktails fruity or fresh? Sweet or sour? Whatever your preferences, you can trust them to create the perfect concoction. Stop by for an evening apéritif, a celebratory drink with colleagues, or to get into the festive spirit before a night out on the town.